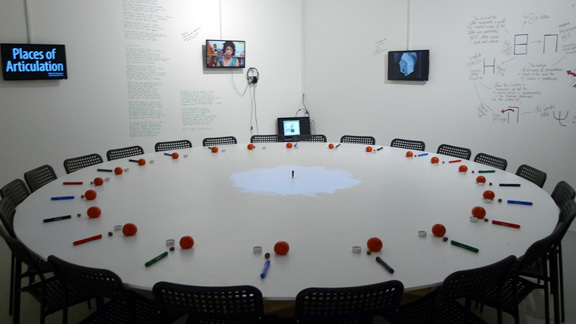 The first manifestation of Places of Articulation is a participatory presentation that later becomes an installation. 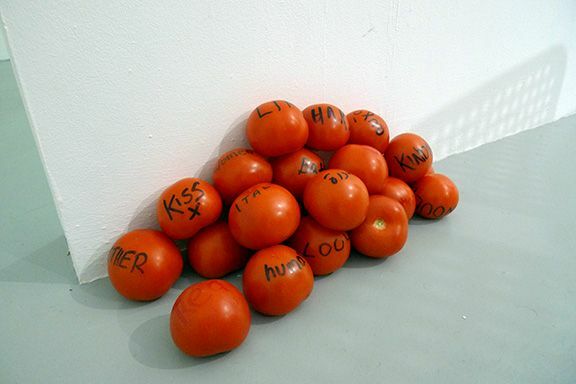 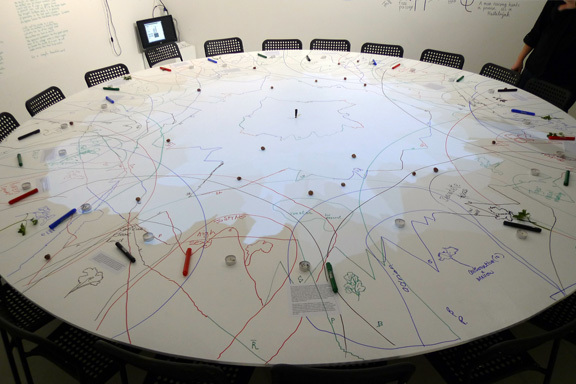 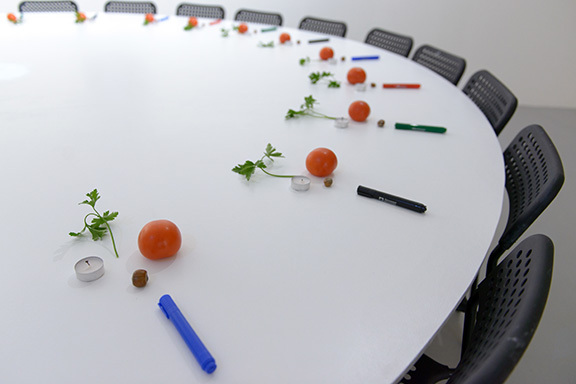 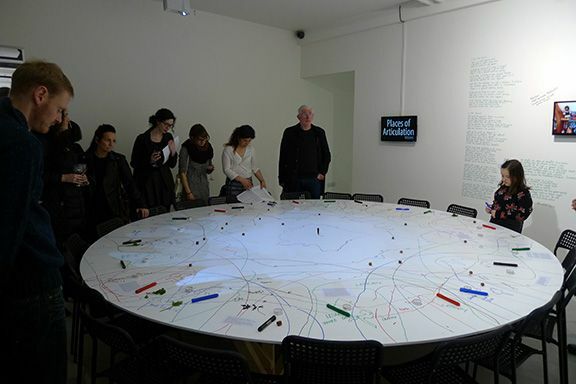 Under the form of a « Table Piece » that we occasionally use, Places of Articulation propose an informative and emotional tract or ceremony, where the participants are introduced to different elements of our current research on « Shibboleth » cases and on how external territories and borders are reflected in the very intimate and bodily space of the oral cavity. 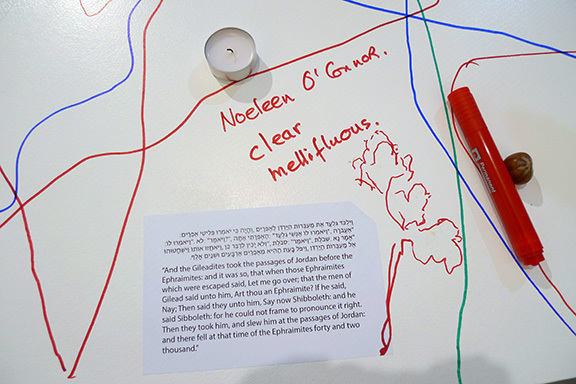 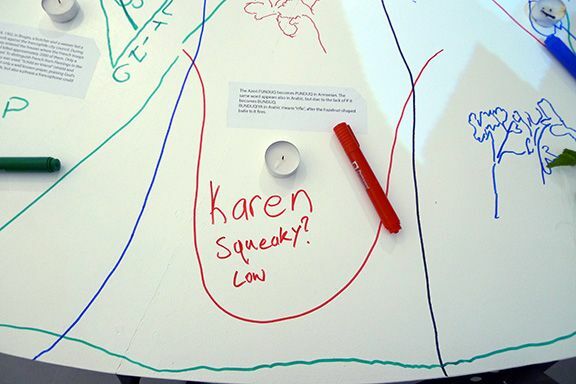 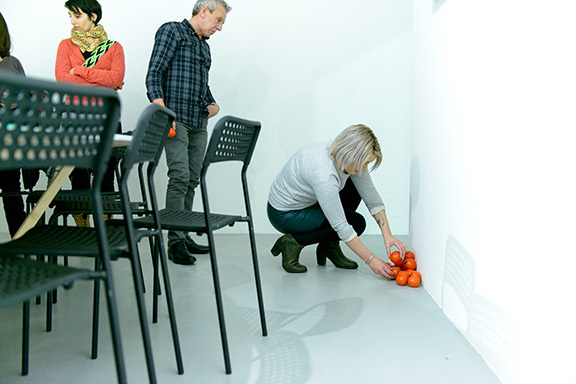 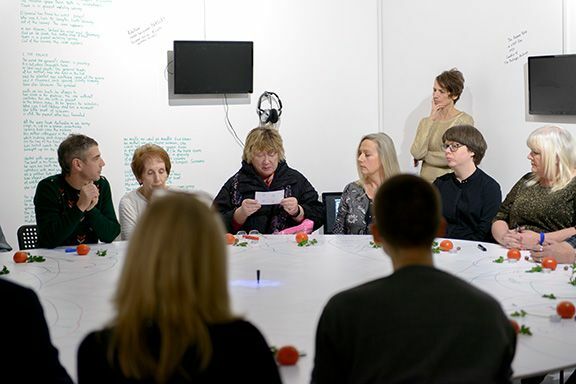 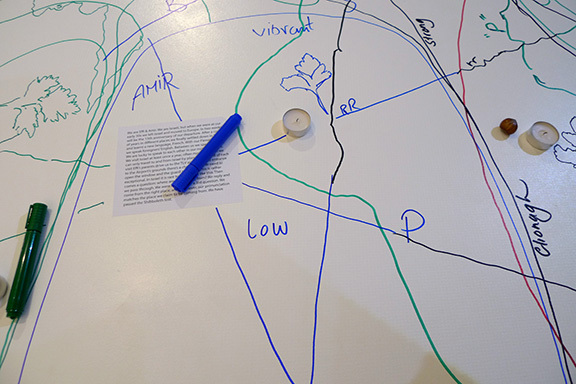 In VOID Gallery, Derry, the participants sat with us around a big round table, they read text excerpts, made sounds and little orchestrated actions, and marked various territories - physical and sonar - on the table. 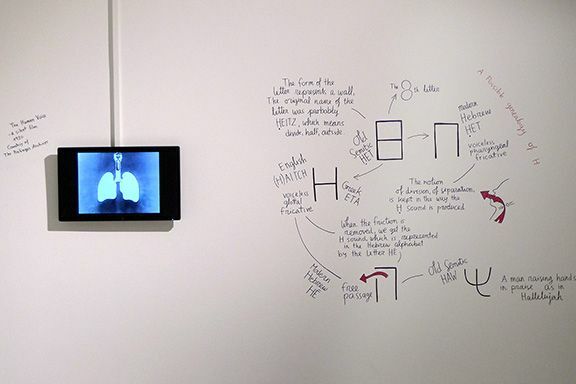 On the walls, other elements contextualise the event: a schematic drawing of a possible and poetic genealogy of the letter H (a contested sound in Northern Ireland), an educational silent film from 1920 about the production of voice, Rita Dove’s poem, Parsley, evoking the massacre of Haitians in the Dominican Republic, identified by their pronunciation of this word. 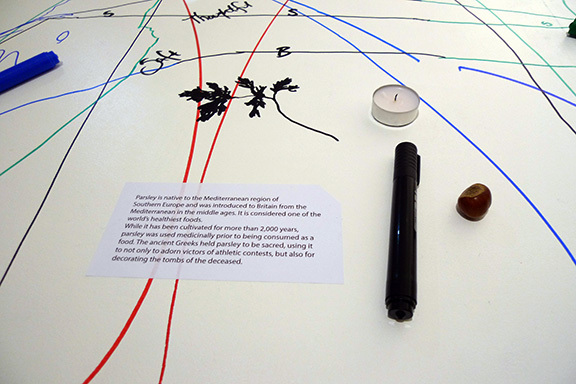 To these elements was added the documentation of the performative event. 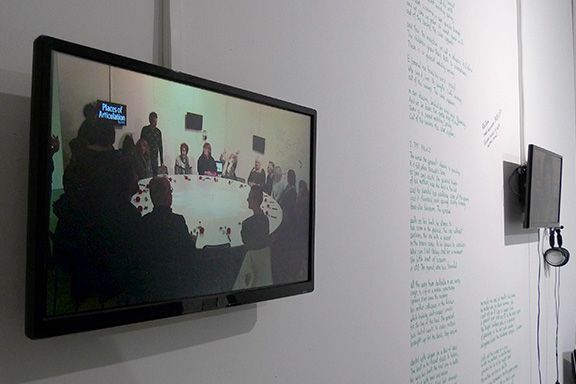 Places of Articulation was first shown at VOID Gallery in Derry, Northern Ireland, in the frame of the exhibition Nothing But Longing, curated by Sagit Mezamer.